Mark Smith, Gobbell Hays Partners, Inc.
Mark L. Smith, AIA, LEED AP BD+C, Vice President Florida Operations, with Gobbell Hays Partners, Inc. (GHP) is a 1978 graduate of Iowa State University with a Bachelors of Arts in Architecture degree. 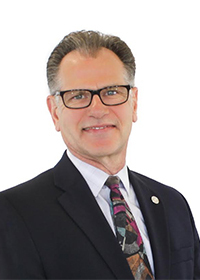 Mr. Smith has over 36 years of experience in the building construction industry and has been a Registered Architect since 1985 with licenses in ten states. Mr. Smith began his career in Chicago, Illinois working on high-rise office and residential projects with Fujikawa Johnson and Associates. He moved to New York City in 1985 where he had his own practice for seven years, which he relocated to Kauai, Hawaii in 1994. He began working for GHP in 1997 and was promoted to VP of Architecture in 2002. After working on projects in South Florida for nearly 10 years, he relocated to Palm Beach Gardens, Florida in 2010 to be the VP of Florida operations for the GHP branch office there. Mr. Smith has been a LEED™ Accredited Professional since 2001 and has an abiding interest in combining the expertise of the GHP's Architectural studio with GHP's Environmental Health and Safety studio to create sustainable design in buildings that are environmentally responsible to themselves and the community, and are healthy places to live and work. Mr. Smith is a member of American Institute of Architects and is a past co-chair of the Public Policy/Advocacy Committee and a past founding board member for the Middle Tennessee USGBC local chapter. Mr. Smith is now a member of the South Florida Chapter of the USBGC and is also a member of the NFPA, ASHE, FHEA, and is certified by the National Council of Architectural Registration Boards.